Tonight’s session is a 1971 concert by James Taylor. It is yet another of the great BBC singer/songwriter concerts from the early 1970s (God bless the BBC for recording and preserving these concerts for future generations to enjoy). James gives a wonderful performance, my favorite song is “Riding on a Railroad”…..let me know yours. The set for the concert is provided below…..enjoy! Update: My friend Gerard commented on this post indicating that he was unable to view this video. If you also had that problem please post a comment and let me know where you live so I can try to track down the issue. Also, please try the alternate link below to see if it works any better (there is an ad that you have to watch at the front of this one but it might be worth it if it works for you)….. I was very interested of the BBC video of James Taylor, but ………….. my screen gave me the next message………….. “this video doesn’t exist” . A pity, but I’ll have a try at your monday-posting. I can access the Video with no problems. I am wondering if I have stumbled into some type of country limitation. I am going to update the post and ask others to let me know if they also are unable to see the video. In addition, I will see if I can find a second source. I really hope you can see the Two Lane Blacktop movie I am posting tonight. I found an alternate version of the James Taylor show (unfortunately it is one where you have to watch an advertisement at the beginning). I put this alternate version at the bottom of yesterday’s post. Try it and let me know if it works any better for you. It’s a go! After all your first post came through; maybe there was an interference with my provider. Thank you for your effort. Nice music and lyrics. I like the music and voice of James Taylor. Yeah! Glad it worked out. Please let me know if you ever have a similar problem….I will do my best to provide alternate versions. Be sure to check in on the blog later today. 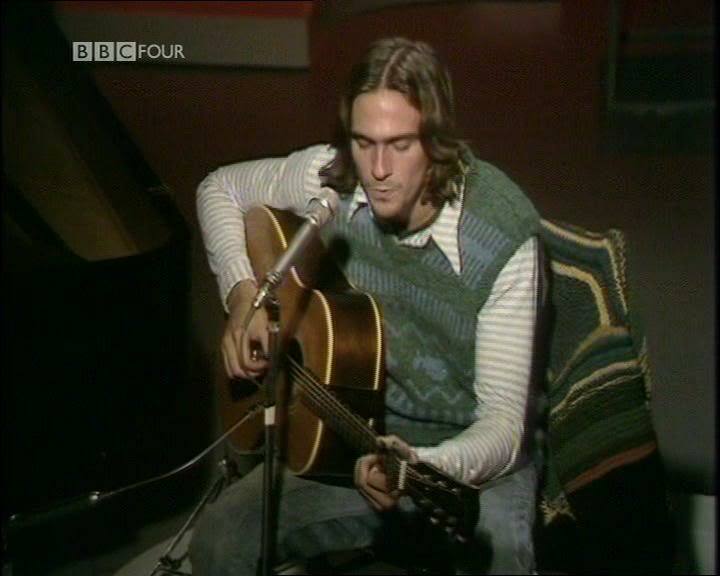 I have another great BBC capture of another amazing singer/songwriter from 1971.